What’s happening on Friday, February 17th? Join us for a happy hour of conviviality, music and intrigue with Ithaca’s dj laika, presenting a multi-media showcase on the themes of music and magic. Then, at 7:30 PM, we’ll present Alex Stone in a special Light in Winter edition of the popular Science Cabaret series. There are a number of connections between magic and science—especially psychology, neuroscience, mathematics, and physics, says author and magician, Alex Stone. Magic, at its core, is about toying with the limits of perception, and as any neuroscientist will tell you, one can learn a lot about the brain by studying those bizarre moments wherein it succumbs to illusion. Magic lives in these moments. At its best, magic is a kind of psychological cage match. What distinguishes a great magician is the ability to divert an audience’s attention and manipulate their expectations. Expert conjurors possess not just an arsenal of sleights but an instinct for how people see things, a marksman-like ability to get a good bead on a person’s perception. 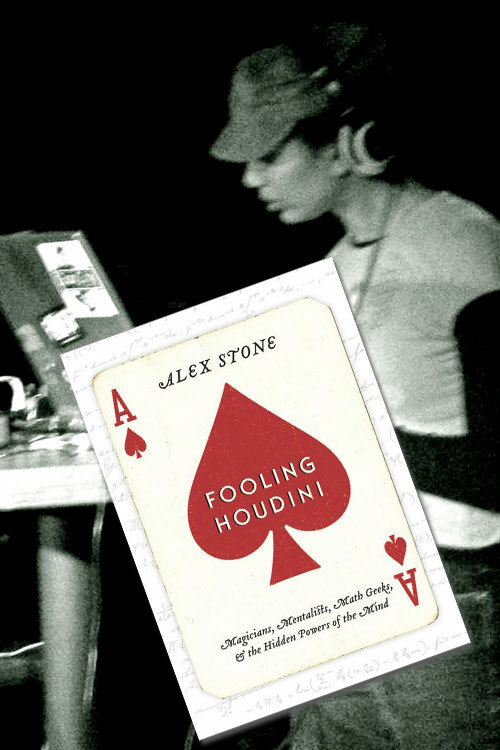 Alex Stone’s talk, Magicians, Mentalists, Math Geeks and the Hidden Powers of the Mind, is about the connections between magic and science—an exploration that probes the limits of perception, the mysteries of consciousness, the road to mastery, and the art of deception. This program has a suggested donation of $5. Thank you for supporting Light in Winter!